Stefan Feld’s game of rolling dice and placing tiles. For more information see Boardgame Geek and alea. 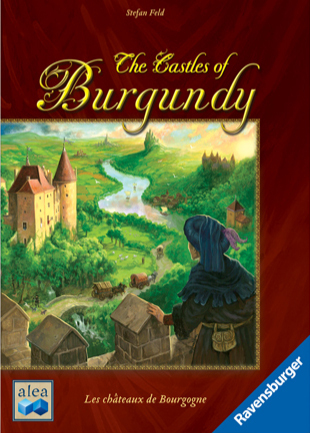 Castles of Burgundy is a featured game for 2019 for both live play and online tournaments held by the Meeple League. Watch for events and results.